Joseph joined Mutual Energy in September 2013 as Energy Network Engineer. He has responsibility for power systems and electrical operational issues on Moyle HVDC. He also looks after asset maintenance and management strategies. Prior to joining Mutual Energy Joseph worked for UK Power Networks and Cummins Generator Technologies in power system modelling and asset failure investigation roles. 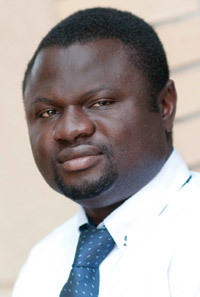 Joseph has an MSc in Electrical Power Systems Engineering from the University of Manchester UK in 2009 and B.Eng. in Electrical and Electronic Engineering in 2000 from The Federal University of Technology Akure, Nigeria.